If you have any questions about the Building with Biology project or want to learn more about how to get involved, find your region on the map and contact your Regional Hub Leader. 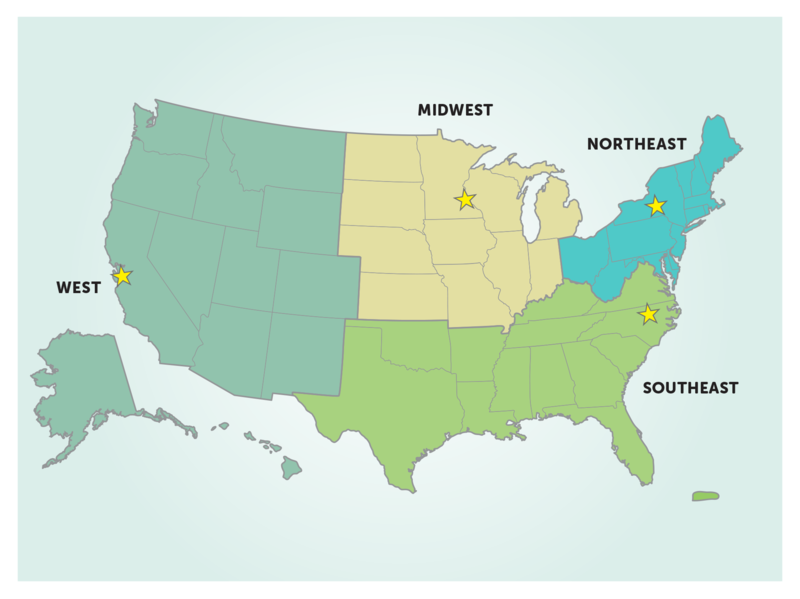 The Building with Biology community within the United States is organized around four NISE Network Regional Hubs based on geographic proximity. Regional hubs help to connect informal science educators and scientists with each other, and provide support to institutions in their region. To learn more about opportunities for international institutions and scientists located outside the United States, please contact the project team at buildingwithbiology@mos.org. For more general project inquiries, please email buildingwithbiology@mos.org.